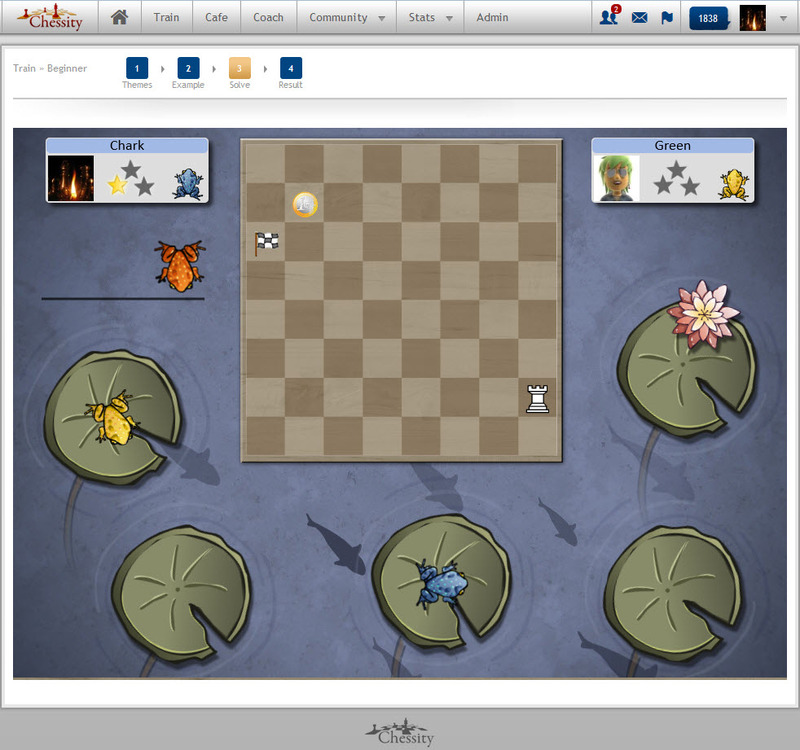 Chessity is an online learning platform to learn chess by playing. It contains a lot of core game elements of popular games as an added incentive for children to learn chess and how to play it better. The method adapts itself in various ways to the level and the way of learning of the player. This happens ‘under the hood’ so the player can focus on the game, but still gradually learn to play chess better and faster. Furthermore, a tracking system has been added for trainers, with which they can monitor the progress of their students but also get advice on how the performance of individual students can be improved. ‘Chess is exciting and you will become smarter, more creative and more flexible! Chessity mainly uses visuals rather than text/language and aims to ensure that people can learn chess autonomously. It is platform independent. This means it works with all common operating systems on desktop, laptop, tablet or smartphone. 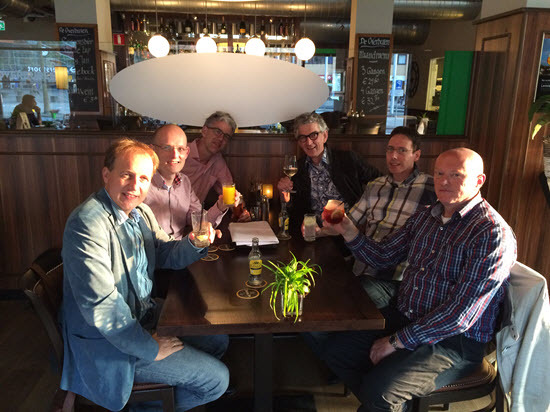 The founders of Chessity are Janton of Apeldoorn and Marcel Pruijt. They’ve spent the last three years together with lead developer Henk Kuyer and a team of about twenty software and puzzle developers, designers, content creators and chess trainers to work on Chessity. Among others in the Chessity team: Erwin and Alina l’Ami, Robert Riis and Yochanan Afek. 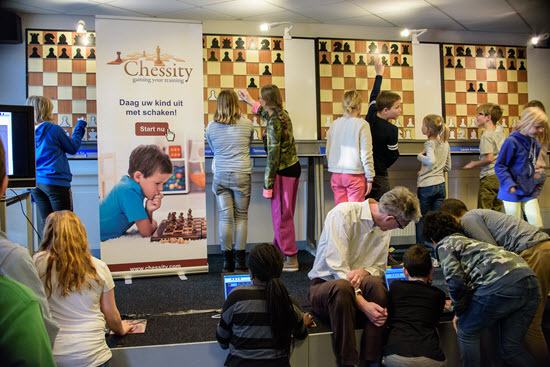 Chessity has been active for several years abroad and only focused recently on the Netherlands. One of the main pillars of Chessity is learning by gaming. Why did Chessity choose this playful design to train and learn players the serious mind game which chess is. Janton Apeldoorn explains: “During a neighbourhood party I noticed that my daughter of three was nicely playing table tennis, which is spectacular for her age. At first I was quite surprised because I had no idea where she had learn to play it. Then I realized that she regularly played a similar game on the Wii. This console adapts to the level of the opponent. This way games are also fun for starters and enables them to get better when they repeatedly play the game. That’s when the idea suddenly popped up in my head. If I wanted to make people enthusiastic for chess I had to lower the threshold to start learning chess. Thus the idea of Chessity was born: learning chess online by playing. What are the advantages of Chessity? Learning by playing. Learn chess by playing a game. Language/text-free learning. This way learning is motivating for a bigger group of students and learning in practice goes much faster. The system evaluates the work of the student and gives immediate feedback. Chessity learns who his user is and adjust itself to his user. 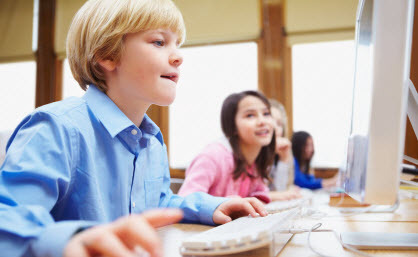 Trainers and teachers can track the progress of their students through an inbuilt tracking system. The KNSB and Chessity introduce a membership for students, similar to the one the KNSB already offers. Schools can obtain 50 Chessity licenses for €250,-. 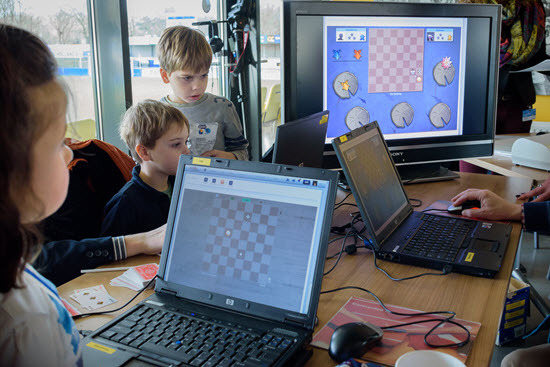 These licenses empower you with the rights of using Chessity, using Playches, participating in the chess tournament for school teams (groups 3 up to 5) and participating in the online KNSB tournament for primary school teams in the fourth quarter. Furthermore, schools receive 4 annual visits from the selected Chessity/KNSB voluntary worker, who can analyze the progress of the pupils, counsel teachers & students and can answer specific questions. The KNSB will support Chessity acquiring these volunteers, and will also organize meetings for these voluntary trainers in collaboration with Chessity. Who will be the first 25 Chessity/KNSB voluntary workers? To successfully contract and counsel schools, Chessity and KNSB require some voluntary contribution of trainers. First, we are looking for 25 voluntary workers. Chessity and KNSB will carefully select these trainers, and also counsel and tutor them. That’s why we’re going to organize 4 train-the-trainer pizza sessions at a central position in the country. Those who are interested are free to contact the office of the KNSB by email (bondsbureau@schaakbond.nl) or by calling 023-5254025. Knowledge of chess and didactic skills are essential, but smooth communication between parents and teachers is also a must. On top of that, you are required to be convinced and truly believe in the possibilities offered by all new means that support access to the internet. During the test phase, we will be exploring unknown ground. That’s why we will adjust and change our processes and teaching methods (if needed). Also, investments will be done to change the program which require clear and honest feedback from the trainers. That’s why volunteers have to be flexible by mind and great at communication (also by using digital media). Chessity is a cloud service that works completely platform independent. Having some sort of interest, fascination or feeling with the use of different digital devices is an advantage. It’s not that much of a problem if teachers and trainers on schools do not possess any knowledge of chess. Chessity corrects the work of the student itself and Chessity features a powerful inbuilt progress tracking system. The role of the Chessity/KNSB voluntary worker is to counsel and help the teacher or/and trainer by helping them understand the progress tracking system. This way, children who require extra challenges or who are stuck in the training process can be supported. Furthermore, the volunteer will explain how chess (by playing Chessity) can be integrated and implemented in a course, but also which kind of accompanying support is recommended. With this collaboration, the KNSB aims itself at the future. Children (and adults) will learn differently in the future. This is an ongoing development and will only be increasing in speed. Chessity and the KNSB expect to further stimulate the growing enthusiasm for chess by launching this initiative. Plans have already been made to further expand this project and strengthen the relationship between Chessity and KNSB, but for now we’d like to start by contracting a hundred schools. As written: Those who are interested are free to contact the office of the KNSB by email (bondsbureau@schaakbond.nl) or by calling 023-5254025.